Tuesday, April 18, 2017, was the tax deadline for most taxpayers to file their tax returns. If you haven’t filed a 2016 tax return yet, don’t delay. There’s still time–and it’s not as difficult as you think. Don’t Ignore your Tax Return! If you haven’t filed a tax return yet, call the office today to schedule an appointment as soon as possible. There is, however, one provision that is not complicated. Homeowners who rent out their property for 14 or fewer days a year can pocket the rental income, tax-free. Tip:If you live close to a vacation destination such as the beach or mountains, you may be able to make some extra cash by renting out your home (principal residence) when you go on vacation–as long as it’s two weeks or less. And, although you can’t take depreciation or deduct for maintenance, you can deduct mortgage interest, property taxes, and casualty losses on Schedule A (1040), Itemized Deductions. Example:Let’s say you own a beach house and rent it out during the summer, typically between mid-June and mid-September. You and your family also vacation at the house for one week in October and two weeks in December. The rest of the time the house is unused.The family uses the house for 21 days and it is rented out to others for 121 days for a total of 142 days of use during the year. In this scenario, 85 percent of expenses such as mortgage interest, property taxes, maintenance, utilities, and depreciation can be written off against the rental income on Schedule E. As for the remaining 15 percent of expenses, only the owner’s mortgage interest and property taxes are deductible on Schedule A. Questions about vacation home rental income? Please call and speak to a tax and accounting professional today. Nonresident aliens who receive income from U.S. sources must determine whether they have a U.S. tax obligation. The filing deadline for nonresident aliens is generally April 15 (April 18 in 2017 and April 17 in 2018) or June 15 depending on sources of income. If Social Security is your only income, then your benefits may not be taxable and you may not need to file a federal income tax return. If you receive Social Security you should receive a Form SSA-1099, Social Security Benefit Statement, showing the amount of your benefits. Likewise, if you have pension or annuity income, you should receive a Form 1099-R for each distribution plan. If you’ve retired overseas, but take on a full-or part-time job or earn income from self-employment, the IRS allows qualifying individuals to exclude all, or part, of their incomes from U.S. income tax by using the Foreign Earned Income Exclusion (FEIE). In 2017, this amount is $102,100. This means that if you qualify, you won’t pay tax on up to $102,100 of your wages and other foreign earned income in 2017. Starting in 2014, the individual shared responsibility provision calls for each individual to have minimum essential coverage (MEC) for each month, qualify for an exemption, or make a payment when filing his or her federal income tax return. However, U.S. citizens or residents living abroad for at least 330 days within a 12 month period are treated as having MEC during those 12 months and thus will not owe a shared responsibility payment for any of those 12 months. Also, U.S. citizens who qualify as a bona fide resident of a foreign country for an entire taxable year are treated as having MEC for that year. Some states honor the provisions of U.S. tax treaties; however, some states do not, therefore it is prudent to consult a tax professional. Don’t wait until you’re ready to retire to consult a tax professional. Call the office today and find out what your options are. Pension rules are complex, and the tax aspects of retirement plans can also be confusing. If you need help finding the right plan for you and your employees, please call. Business owners, as well as employees, often have questions about what to do with an employee’s home–and what the tax consequences might be–when he or she is moved to a new job location. Here are some answers. The employer reimburses the employee’s financial loss. Here the employer has the home appraised and agrees to pay the employee the difference between the appraised fair market value and any lesser amount the employee gets on the sale. Such reimbursement would cover the employee’s costs of the sale. Note: Financial loss as described here is not the same as a tax loss. The financial loss is the home’s value less what the employee collects under “forced sale” conditions. In the current real estate market, the value is not always clearly determined. The relocating employee might think the home is worth more, based on earlier appraisals or comparative sales. A tax loss is the property’s tax basis (cost plus capital investments) less what’s collected on the sale. If the employee has a gain on the sale (the amount collected on the sale exceeds the basis), the gain can be tax-exempt up to $250,000 ($500,000 on certain husband-wife sales). Tax loss on the sale of one’s residence, however, is not deductible. The employer’s reimbursement of the employee’s financial loss is taxable pay to the employee. Employers who want to shelter the employee from any tax burden on what is usually an employer-instigated relocation may “gross-up” the reimbursement to cover the tax. But gross-up can be costly. For example, a grossed-up income tax reimbursement for a $10,000 loss would be $15,385 for an employee in the 35% bracket – more where Social Security taxes or state taxes are also grossed-up. Option 1. The relocation firm as employer’s agent buys the home for its appraised fair market value, and later resells it. The firm collects a fee from the employer, which will cover sales costs and any financial loss to the firm on resale. The IRS now says that this fee is not taxable to the employee. Also, the employee’s gain on the sale to the relocation firm qualifies for the tax exemption under the limits described above ($250,000 or $500,000). Option 2. The relocation firm offers to buy the home for its appraised value, but the employee can choose to pursue a higher price through a broker he or she chooses from a list provided by the relocation firm. If a higher offer is made, the relocation firm pays that price to the employee (whether or not the home is then sold to that bidder). Here again, the employee is not taxed on the firm’s fee and the gain is tax exempt under the above limits. Tip: Either option works for the employee, letting him or her realize full value on the sale of the home (with possibly greater value through Option 2), without an element of taxable pay. Caution: If the deal is structured so that the relocation firm facilitates a sale from the employee to a third-party buyer (rather than to the relocation firm), the employer’s payment of the relocation firm’s fee is taxable to the employee. Reimbursing the employee’s loss. This is fully deductible as a business expense, as would be any additional amount paid as a gross-up. Note: It’s fully deductible, but it may be more costly, before and after taxes, than buying the home for resale through the relocation firm. Note: Paying the relocation fee only, without buying the home, as in the “Caution” above, is also fully deductible, as would be any gross-up amount on that fee. Buying the home. The change in the IRS rule was good news for employees, but it gave nothing to employers, whose tax treatment wasn’t covered. The official IRS position is that employer costs (other than carrying costs such as mortgage interest, maintenance, and fees to a relocation management company) are deductible only as capital losses, which, for corporate employers, are deductible only against capital gains. Taxpayer advocates tend to argue that employer costs here are fully deductible ordinary costs of doing business. If you’ve been offered a job that requires relocating to another state and wondering how it might affect your tax situation, don’t hesitate to call. April 18 was the deadline for most people to file their federal income tax return and pay any taxes they owe. The bad news is that if you missed the deadline (for whatever reason) you may be assessed penalties for both failing to file a tax return and for failing to pay taxes they owe by the deadline. The good news is that there is no penalty if you filed a late tax return but are due a refund. 9. Penalty relief. The IRS generally provides penalty relief, including postponing filing and payment deadlines, to any area covered by a disaster declaration for individual assistance issued by the Federal Emergency Management Agency (FEMA). For example, taxpayers in parts of Georgia and Mississippi have until May 31, 2017, to file and pay, while those in parts of Louisiana have until June 30, 2017, to file and pay. If you adopt a child in 2017, you may qualify for a tax credit. If your employer helped pay for the costs of an adoption, you may be able to exclude some of your income from tax. Here are ten things you should know about adoption tax benefits. 1. Credit or Exclusion. The credit is non-refundable. This means that the credit may reduce your tax to zero. If the credit is more than your tax, you can’t get any additional amount as a refund. If your employer helped pay for the adoption through a written qualified adoption assistance program, you may qualify to exclude that amount from tax. 2. Maximum Benefit. The maximum adoption tax credit and exclusion for 2017 is $13,570 per child. 3. Credit Carryover. If your credit is more than your tax, you can carry any unused credit forward. This means that if you have an unused credit in 2017, you can use it to reduce your taxes for 2018. You can do this for up to five years, or until you fully use the credit, whichever comes first. 4. Eligible Child. An eligible child is under age 18. This rule does not apply to persons who are physically or mentally unable to care for themselves. 5. Qualified Expenses. Adoption expenses must be directly related to the adoption of the child and be reasonable and necessary. Types of expenses that can qualify include adoption fees, court costs, attorney fees, and travel. 6. Domestic Adoptions. For domestic adoptions (adoption of a U.S. child), qualified adoption expenses paid before the year the adoption becomes final are allowable as a credit for the tax year following the year of payment (even if the adoption is never finalized). 7. Foreign Adoptions. For foreign adoptions (adoption of an eligible child who is not yet a citizen or resident of the U.S.), qualified adoption expenses paid before and during the year are allowable as a credit for the year when it becomes final. 8. Special Needs Child. If you adopted an eligible U.S. child with special needs and the adoption is final, a special rule applies. You may be able to take the tax credit even if you didn’t pay any qualified adoption expenses. 9. No Double Benefit. Depending on the adoption’s cost, you may be able to claim both the tax credit and the exclusion. However, you can’t claim both a credit and exclusion for the same expenses. This rule prevents you from claiming both tax benefits for the same expense. 10. Income Limits. The credit and exclusion are subject to income limitations. The limits may reduce or eliminate the amount you can claim depending on the amount of your income. Questions? Please don’t hesitate to call. This list is not all-inclusive. Special rules apply if your employer reimbursed you for your expenses. To learn more call the office or check out Publication 529, Miscellaneous Deductions. You should also refer to Publication 463,Travel, Entertainment, Gift and Car Expenses. 3. Forms to Use. In most cases, you report your expenses on Form 2106 or Form 2106-EZ. After you figure your allowable expenses, you then list the total on Schedule A as a miscellaneous deduction. 4. Educator Expenses. If you are a K-12 teacher, you may be able to deduct up to $250 of certain expenses you pay in 2017. These may include books, supplies, equipment and other materials used in the classroom. Claim this deduction as an adjustment on your return, rather than an itemized deduction. For more on this topic, please call. 5. Keep Records. You must keep records to prove the expenses you deduct so that you can prepare a complete and accurate income tax return. The law doesn’t require any special form of records; however, you should keep all receipts, canceled checks or other proof of payment, and any other records to support any deductions or credits you claim. If you file a claim for refund, you must be able to prove by your records that you have overpaid your tax. For what records to keep, see Publication 17, Your Federal Income Tax. Please call the office if you have any questions about employee expenses or need help setting up a recordkeeping system to document your expenses. Here are 10 things about farm income and expenses you should keep in mind this year. 1. Crop insurance proceeds. Insurance payments from crop damage count as income. Generally, you should report these payments in the year you get them. 2. Deductible farm expenses. Farmers can deduct ordinary and necessary expenses they paid for their business. An ordinary expense is a common and accepted cost for that type of business. A necessary expense means a cost that is appropriate for that business. 3. Employees and hired help. You can deduct reasonable wages you paid to your farm’s full and part-time workers. You must withhold Social Security, Medicare and income taxes from their wages. 4. Sale of items purchased for resale. If you sold livestock or items that you bought for resale, you must report the sale. Your profit or loss is the difference between your selling price and your basis in the item. Basis is usually the cost of the item. Your cost may also include other amounts you paid such as sales tax and freight. 5. Repayment of loans. You can only deduct the interest you paid on a loan if the loan is used for your farming business. You can’t deduct interest you paid on a loan that you used for personal expenses. 6. Weather-related sales. Bad weather such as a drought or flood may force you to sell more livestock than you normally would in a year. If so, you may be able to delay reporting a gain from the sale of the extra animals. 8. Farm income averaging. You may be able to average some or all of the current year’s farm income by spreading it out over the past three years. This may lower your taxes if your farm income is high in the current year and low in one or more of the past three years. 9. Fuel and road use. You may be able to claim a tax credit or refund of excise taxes you paid on fuel used on your farm for farming purposes. 10. Farmers Tax Guide. Publication 225, Farmer’s Tax Guide, is a useful resource that you can obtain from the IRS. However, if you have specific questions, don’t hesitate to call. Your accounting work involves a lot of repetition. You send invoices. Pay bills. Create purchase orders. Generate payroll checks and submit payroll taxes. Some of the time, you only fill out those transaction forms once. You might be doing a one-time purchase, like paying for some new office furniture. Other times, though, you’re paying or charging the same companies or individuals on a regular basis. QuickBooks contains a shortcut to those recurring tasks, called Memorized Transactions. You can save the details that remain the same every time, and use that template every time the bill or invoice is due, which can save a lot of time and improve accuracy. Here’s how it works. To memorize a transaction, you first need to create a model for it. Let’s say you have a monthly bill for $450 that’s paid to Bruce’s Office Machines. You’d click Enter Bills on the home page or open the Vendors menu and select Enter Bills. Fill in the blanks and select from drop-down lists to create the bill. Then click Memorize in the horizontal toolbar at the top of the form. This window will open. Figure 1: Before you can Memorize a transaction, you first have to create a model (template) for it. Add to my Reminders List. If you click the button in front of this option, the current transaction will appear on your Reminders List every time it’s due. You might request this for transactions that will change some every time they’re processed, like a utility bill that’s always expected on the same day, but which has a different amount every month. Do Not Remind Me. Obviously, QuickBooks will not post a reminder if you click this button. This is best used for transactions that don’t recur on a regular basis. Maybe you have a snow-shoveling service that you pay only when there’s a storm. So the date is always different, but everything else is the same. Automate Transaction Entry. Be very careful with this one. It’s reserved for transactions that are identical except for the issue date. They don’t need your approval–they’re just created and dispatched. Click the down arrow in the field to the right of How Often and select the correct interval. Then click the calendar icon to pick a date for the next occurrence. If you have selected Automate Transaction Entry, the grayed-out lines below Next Date not shown here) contain fields for Number Remaining and Days in Advance to Enter. Obviously, you’ll want advance warning of transactions that will require processing. QuickBooks lets you specify how many days’ notice you want for each type. Open the Editmenu and select Preferences. Click Reminders in the left vertical pane, then the Company Preferences tab. You can tell QuickBooks whether you want to see a summary in each category or a list, or no Reminder. Then you can enter the number of days’ warning you want. Figure 2: QuickBooks lets you specify the content and timing of your Reminders. 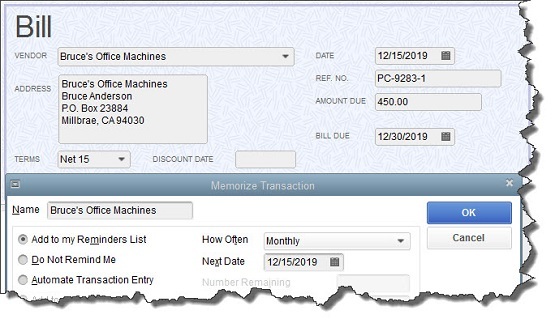 Figure 3: The Memorized Transaction List with the right-click window open. You have several options here. If your list is so long that it fills multiple screens, you can Find the transaction you’re looking for. If you’ve created multiple related transactions, you can save them as a New Group. You can also Edit, Delete, and Enter Memorized Transactions. Anytime you’re letting QuickBooks do something on its own, it’s critical that you thoroughly understand the mechanics of setting the process up. Please call if you have any questions about the topic of Memorized Transactions. One of our specialists would be more than happy to assist you with this or any other aspect of QuickBooks operations. Employers – Social Security, Medicare, and withheld income tax. File form 941 for the first quarter of 2017. Deposit any undeposited tax. (If your tax liability is less than $2,500, you can pay it in full with a timely filed return.) If you deposited the tax for the quarter in full and on time, you have until May 10 to file the return. Employees who work for tips – If you received $20 or more in tips during April, report them to your employer. You can use Form 4070. Employers – Social Security, Medicare, and withheld income tax. File Form 941 for the first quarter of 2017. This due date applies only if you deposited the tax for the quarter in full and on time.